Plumbing problems don’t occur after an announcement. Yes, we all know these problems often come unannounced. 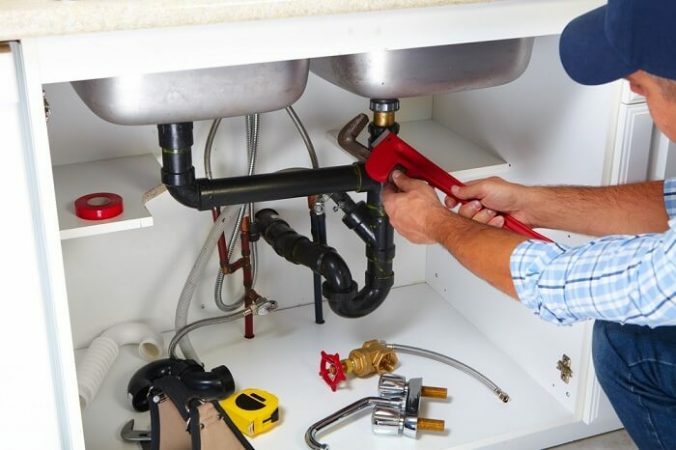 Plumbing problems can only be handled by professional because he can do the job right at first time, he can save you from the extensive damages and help you avoid future repairs. Therefore, make sure that you talk to a plumber now and hire someone who can help you during an emergency. If you have a deal with a plumber now, it will help you get the best results if you face any issue. #1. Go Online to Search: The internet is one of the most effective tools that we have at our disposal these days. Probably, this is one of the fastest ways to find a reliable plumber. A major benefit here is that you can find a wide range of these professionals who are available out there. On the other hand, you can also compare your options, the times, the cost, and so on. As you scroll through your window, you will not only find a wide variety of professionals but also the best ones in your area. #2. The Word of Mouth: The friend or family member who has experienced the plumber’s service before you will be in the best position to tell you about how the services of the plumber were and if he can add value to you. As a result, you will not have to work very hard to try and find out whether the services will be good. So, start by asking around your family and friends staying in your neighborhood about their plumber. #3. How About A Background Check: Carry out a background check if you want to make a good decision. Look at the reviews of customers so that you can get an idea of what to expect from them. A background check will help you understand whether a plumber can deliver what he/she promises. If most past clients have not liked a plumber, it is best to strike him out, and then start looking for other plumbers in your area. #4. Look for Their Insurance and License: You don’t want to land up in a trouble when you are already facing one with your plumbing. If your plumber is not licensed or insured, you can end up landing in trouble. So, ask whether he/she is equipped with these certifications to carry out the work on your property. If they are not, and in case of a problem, accident, or any other mishaps, you as the owner of the property will have to bear the expenses. Although, the cost of service may be comparatively lower with non-licensed professionals in the long term you may end up in a problem. Yes, it is crucial that you hire a plumber well in time. Having a plumber save you from many hassles. If you want to get the best results, you should start early and not wait for the last minute. Also, remember to perform a maintenance check once a year by an expert plumber to make sure everything is running properly as a prevention measure. You can also sign a contract with the plumbing service providers in your area and enjoy their long-term services. Consider the above-mentioned points so that the plumber you hire is fully equipped to provide the best plumbing solution for your property. Spend enough time to compare your options so that you do not have to regret your choice during any emergency plumbing situation. Why a Teak Wood Swing Is a Better Option Than a Bench? Are You Looking for Roof Restoration for Your Home?